You are here: Home / YWCA Montreal / Employability Services / Woman looking for a job? We can help you! 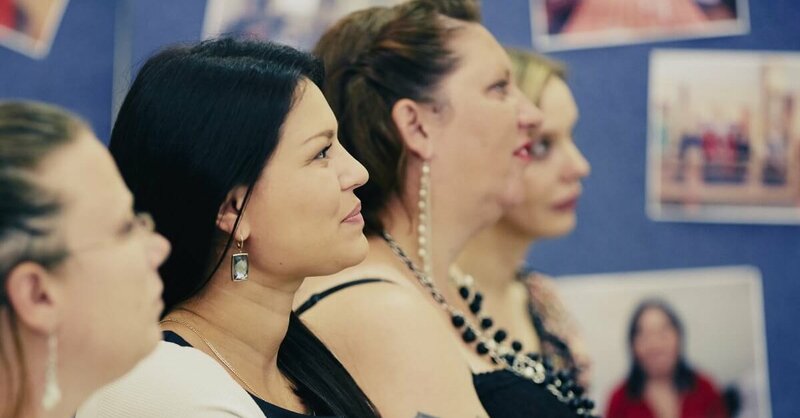 Are you a women looking for a job or a change in your career? Take part in one of our three work integration programs in order to achieve your goals! A team of professionals specialized in career counselling, training, employability, and psychosocial counselling will accompany and guide you in your journey back to work or school. We are recruiting. Contact us now at 514 866-9941, ext. 416 or by completing the form below. The OSE program is what you need! This program offers individual career counselling and job search assistance as well as group workshops on job search techniques. 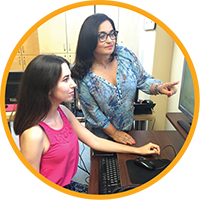 Discover our Women’s Work Integration program (formerly Mothers Work Integration Program) designed for women who want to make a career choice that corresponds to their interests. 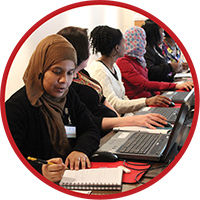 This intensive 19 weeks training program (including a 4 to 6 week internship) helps women integrate into the workforce by offering them workshops in self-awareness, career-orientation, and job search techniques. 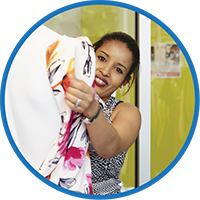 The Fringues & Cie program offers women with limited or no work experience, a six- month specialized training program in retail sales and customer service combined with real work experience at Fringues Friperie, the YWCA Montreal work-school. * The YWCA Montreal Employability programs are financed by Emploi-Québec. Eligibility to those programs are determined by Emploi-Québec criteria. Call us now at 514 866-9941, ext. 416 for more information about our employability programs. You can also fill out the form below, we will contact you as soon as possible. Please note that, for confidentiality matter, our phone number will appear as a private number. Talk to you soon!